This dome size is a popular design, as it gives you a professional look and a sheltered work space. We remain flexible, ready to accommodate any client request, such as delivery or pickup at an exact time, after-hours delivery, express production time and so on. We go beyond delivery and installation to offer advice and guidance through the entire event planning and rental process. Simply let us know of any special requests, and we will do everything we can to accommodate you. Our half dome tents serve as greet booths for a wide variety of promotional events. The P75 can be used both indoors and outdoors. This geodesic dome is stylish, practical, simple to use, and convenient to transport. It’s great for ticket sales, food service, product demonstration, and more. 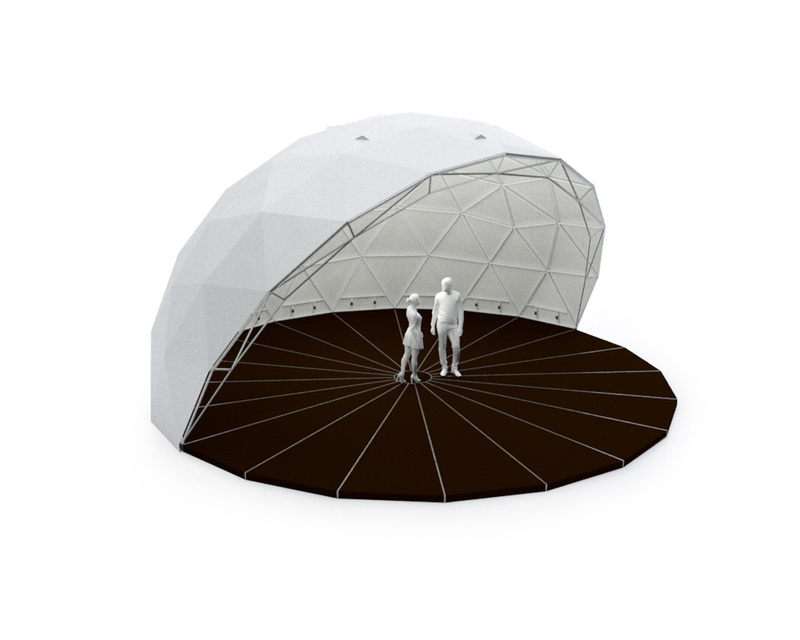 As with all of our geo dome tent models, the P75 may be also used as an open stage geodesic amphitheatre. 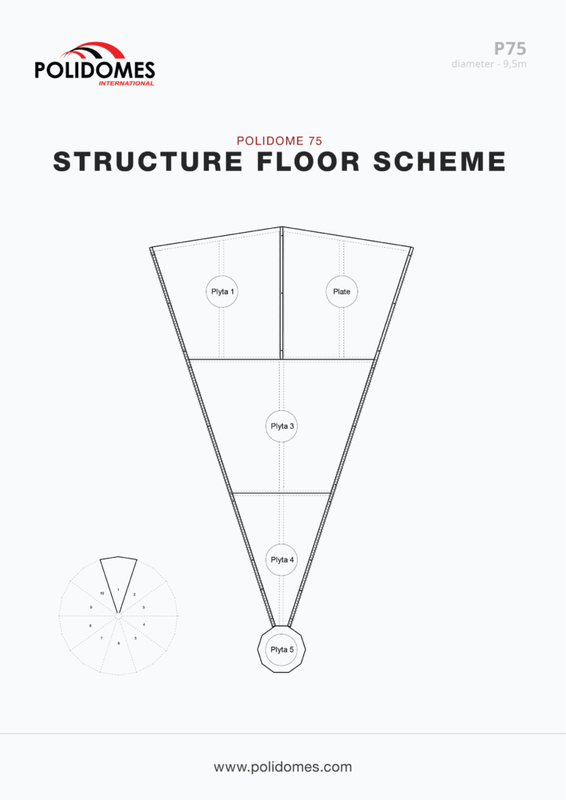 In true Polidomes style, it offers an exclusive space even in hard-to-reach places. 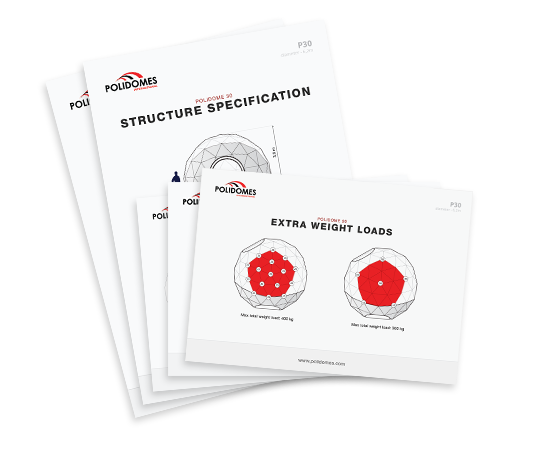 We are constantly expanding our inventory to ensure that our clients have a wide selection of the latest dome designs. We offer a full range of Geodome shells. This half sphere tent requires approximately 3 people and 6 hours to erect. 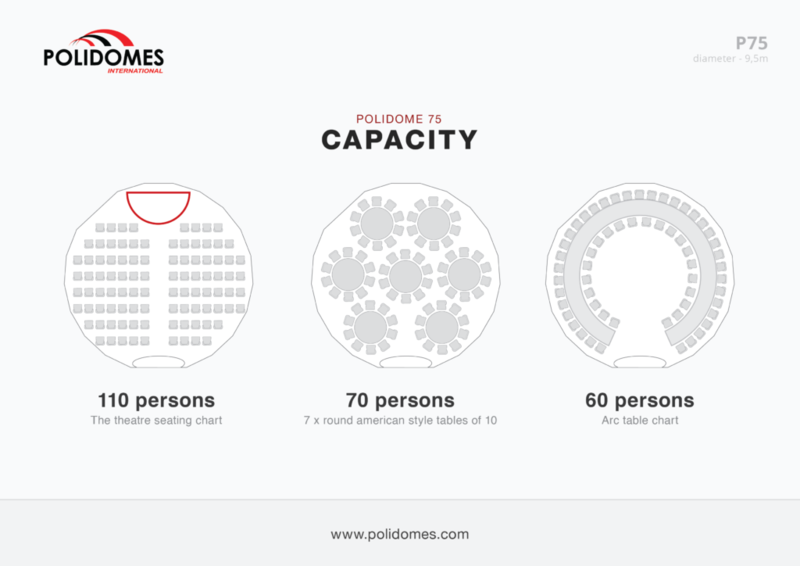 Hosting an event of any size can be stressful, but you can count on us to do our best to help you out.